Circle function is one of the library function of Graphics.h header file. It draws a circle on to the output screen. It takes three arguments, the first two are for centre coordinate and the last one represents the radius of the circle. 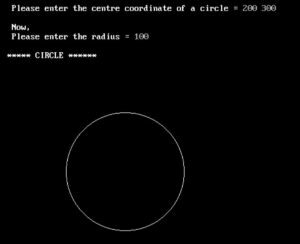 C program to draw a circle using circle function?